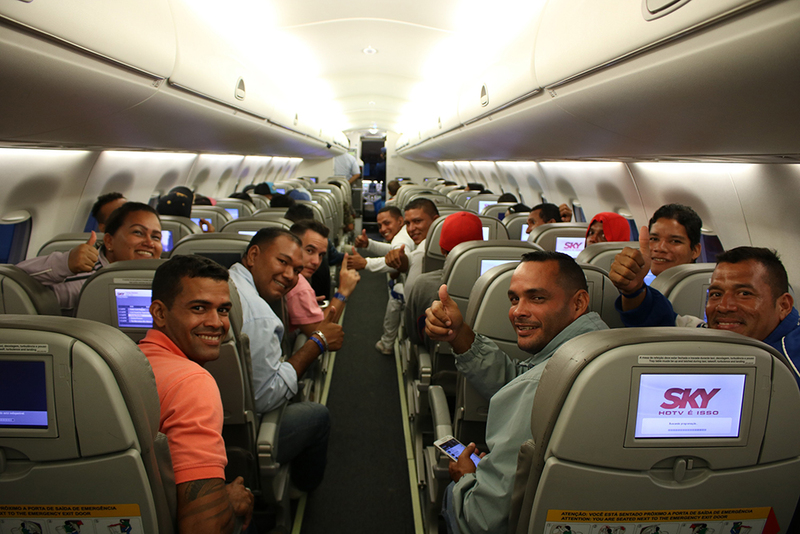 Boa Vista – The International Organization for Migration (IOM), in coordination with other UN Agencies and the Brazilian Army, organized its first charter flight to relocate 100 Venezuelans. The flight departed from Roraima’s capital of Boa Vista on 2 February, to Campo Grande, State of Mato Grosso do Sul in Brazil. The charter flight was part of IOM’s support to the ‘Operação Acolhida’ (Operation “Well Received” or “Welcomed”), a voluntary relocation strategy led by the Brazilian Government, implemented with the support of UN Agencies and civil society. This strategy began in April 2018 and has relocated over 4,300 Venezuelans from Brazil’s northern Roraima State to other Brazilian jurisdictionss. At the beginning of the strategy, transportation was handled exclusively by Air Force aircraft. But as demand and necessity increased, IOM started to provide tickets on commercial flights, assisting 302 Venezuelans in recent months. This new introduction of charter flights has the potential to scale up the relocation process, which will continue support for voluntary relocation efforts by the Government of Brazil. 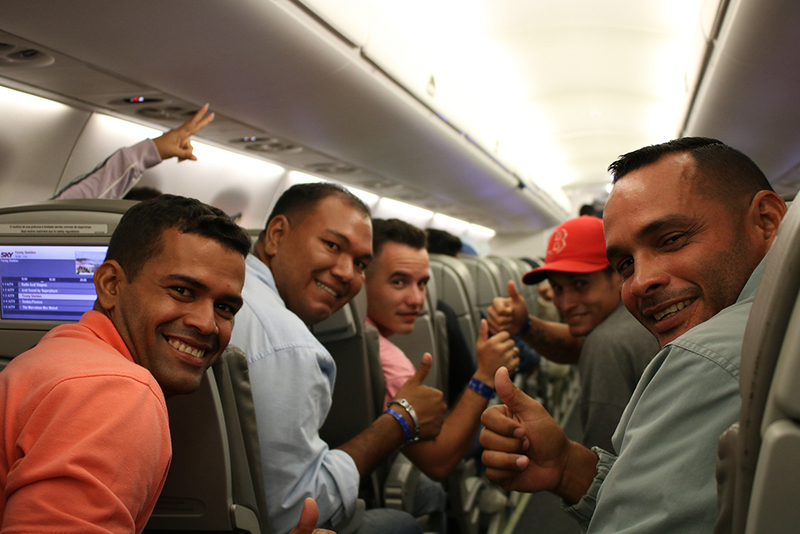 This weekend’s IOM’s charter flight relocated the largest number yet of Venezuelans, who also had been pre-selected for job opportunities outside Roraima. These job vacancies are posted by companies and—after a profile is completed to identify candidates for these vacancies—a selection takes place through interviews and CV analysis, both organized by the Brazilian Army. "As soon as we were informed by one private company of the opening of 100 vacancies in the city, we began a selection process with more than 300 people. They fulfilled the profile and indicated their interest in those positions. Finally we got the 100 selected," explained Brazilian Army’s Colonel Souza Holanda. “The charter fights are an alternative to speed up and increase the relocation capacities in order to reduce the migratory pressure in the State of Roraima and facilitate the socio-economic integration of the Venezuelans in Brazil”, said IOM Brazil Chief of Mission, Stéphane Rostiaux. He added: “IOM is working with the Brazilian Government and partners to make easier the connection between the Venezuelans and job opportunities, contributing to the local development”. The activity was funded by the Bureau of Population, Refugees and Migration (PRM) from the United States Department of State.